Looking for a clean, well-cared for 2005 Honda Odyssey? This is it. Drive home in your new pre-owned vehicle with the knowledge you're fully backed by the CARFAX Buyback Guarantee. This Honda Odyssey has been loved by its original owner as CARFAX shows it to be a one-owner. 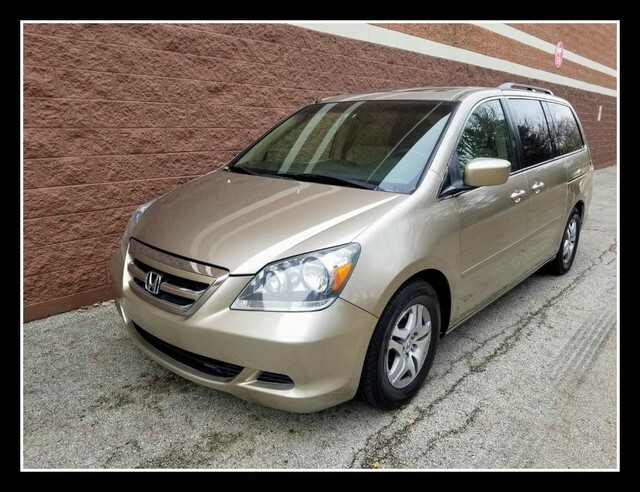 With less than 118,592mi on this Honda Odyssey, you'll appreciate the practically showroom newness of this vehicle. This vehicle comes with an extra bonus: past service records are included. Looking for a Honda Odyssey that is in great condition inside and out? Take a look at this beauty. Stupendously fast, yet subtle at the same time, this Honda Odyssey EX-L sets the bar high. A true automotive masterpiece, this Honda can function on track-day or work-day, and will always get you to your destination very quick. This Honda Odyssey EX-L comes standard with features that are essential in the 21st Century. However, Honda decided to take it one step further and add a handful of quintessential options that will undoubtedly add to this vehicle's quality and value. Added comfort with contemporary style is the leather interior to heighten the quality and craftsmanship for the Honda Odyssey These tires look to be recently changed. This is your chance to own the very rare Honda Odyssey.